I love reading to my children. Christmas is a wonderful time to snuggle up and read together. Here are some of our favorites that we bring out during the Christmas season. Just click on the title to access the Amazon link and learn more about the book. 1) The Story of Holly and Ivy - A wonderful story about a little girl and doll finding a home and each other at Christmas. 2) Peter Spier's Christmas! - One of my absolute favorites! Peter Spier's illustrations are amazing and the books are wordless-you and your kids tell the story. My children love his books-other include Noah's Ark, Jonah, Rain, People, & Circus. Like Christmas!, many are out of print, but can be found from sellers on Amazon. So worth it. Christmas! walks throught he Christmas season with a family-shopping, decorating, playing in the snow, feasting, celebrating, and worshipping! Can you tell that I like this book? 3) The Christmas Miracle of Jonathan Toomey - This beautiful book tells the story of a grieving carpenter whose heart is touched through carving a nativity scene for a widow and her son. The illustrations are more like paintings. I have the old version-a newer, smaller version is now in print. 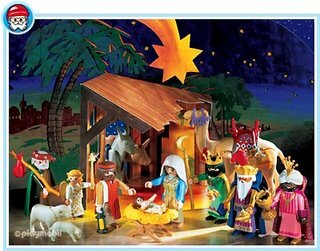 4) The Story of Christmas - This board book of the Nativity story is still a favorite with with 8 and 5-year olds. 5) The Night Before Christmas - What's Christmas eve without this classic book? We love the version illustrated by Will Moses, his detailed folk art-inspired pictures are so fun to look at! 6) The Apple Tree Christmas - Charming story of a simple farm family and their apple tree. Watercolor pictures makes this a beautiful and sweet read highlightling the love of a father for his daughters. 7) Christmas Day in the Morning - A heart-warming story of a very special gift that a boy gives his father for Christmas. 8) The Year of the Perfect Christmas Tree - Like The Story of Holly and Ivy, this book is illustrated by Caldecott Medalist Barbara Cooney-wonderful illustrations and story. We get teary-eyed at the end. 9) The Pine Tree Parable - Sweet story about a family of Christmas tree growers and their gift to a poor family that parallels the sacrifice made for us. 10) The Nutcracker - Our favorite version of this classic story. 11) The Twelve Days of Christmas - Favorite version of this book and carol that we read and sing together. 12) The Alcott Family Christmas - Fans of Little Women will love this sweet Christmas story about the more important things that money can't buy. 13) Silent Night - Another book illustrated by Will Moses that tells the story of the Miller family with the lyrics of the famous song as inspiration. If you are looking for a sweet family movie for the holidays that everyone can enjoy (G-rated), then look no further. Charlotte's Web, the live action version, came out today. After our children's recitation day at school, we splurged for an afternoon at the movies--popcorn, too! Charlotte's Web is a favorite around our house-one of our first read-alouds and one of my son's first chapter books completed on his own. Since I grew up on the cartoon version of the movie, I was not too sure about the new live action version. Gone are the song and dance numbers, which I read E.B. White (the author) was not a fan of when the first movie came out. What you do get in this movie is amazing, life-like effects and great acting and voice talent--Dakota Fanning, Julia Roberts, Robert Redford, Oprah Winfrey, and many more. It really is a quality production put together by Walden Media, the group that has brought The Chronicles of Narnia to the big screen. Overall, I think this was a very endearing movie with a lot of positive messages. Hopefully, families will show great support for movies such as these so that studios will try to make more clean family movies to meet the demand. For more details, check out my favorite movie review source--Plugged In at Focus on the Family's website. money." The boy dropped his head for a moment. Then reaching deep into his pocket, he pulled out a handful of change and held it up to the farmer. "I've got thirty-nine cents. Is that enough to take a look?" "Sure," said the farmer. And with that he let out a whistle, "Here, Dolly!" he called. Out from the doghouse and down the ramp ran Dolly followed by four little balls of fur. The little boy pressed his face against the chain link fence. His eyes danced with delight. As the dogs made their way to the fence the little boy noticed something else stirring inside the doghouse. Slowly another little ball appeared; this one noticeably smaller. Down the ramp it slid. Then in a somewhat awkward manner the little pup began hobbling toward the others, doing its best to catch up...."I want that one," the little boy said, pointing to the runt. The farmer knelt down at the boy's side and said, "Son, you don't want that puppy. He will never be able to run and play with you like these other dogs would." With that the little boy stepped back from the fence, reached down, and began rolling up one leg of his trousers. In doing so he revealed a steel brace running down both sides of his leg attaching itself to a specially made shoe. Looking back up at the farmer, he said, "You see sir, I don't run too well myself, and he will need someone who understands." I love this story. Our broken places don't have to limit our ability to be used by God. He is the redeemer of broken things- "when we are weak, He is strong." One of the most powerful experiences I have had is when God used a painful, broken part of my life to minister to those around me. 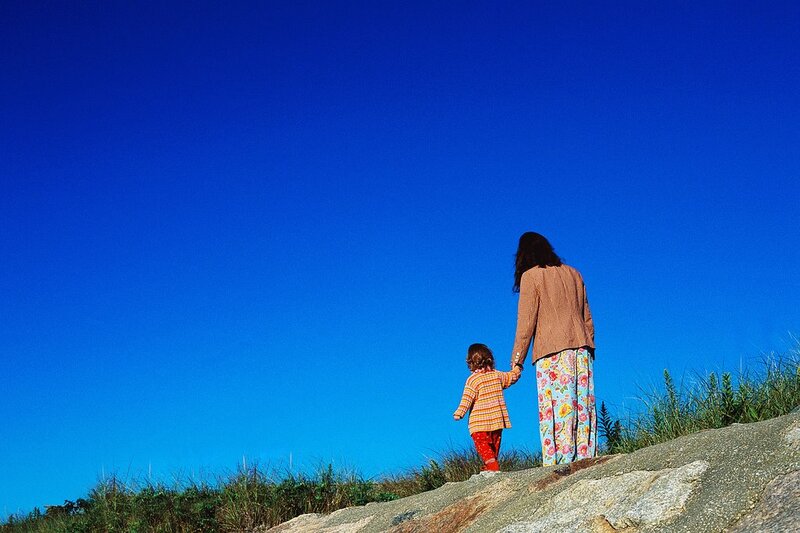 Before I had my son, I had a miscarriage. During the year after this loss, I had three friends go through the same experience. 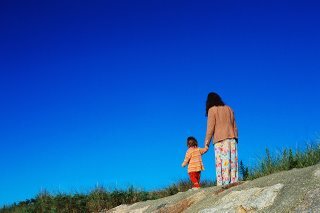 I was able to walk with them and encourage them in a way that someone who had never experienced a miscarriage could not. When we are willing to see our broken places as an opportunity to minister, He is faithful to redeem the pain and use it for His kingdom. I found so much healing in that. it is not: "Jesus, i will be deeply committed to You if You'll heal my brother . . . or increase my salary . . . or give me that new house . . . or make me famous." it is rather: "Jesus, i will follow You to the end. no guarantees asked. no special rewards except that You will be at the end of the road to meet me when i get there . . .
and i will know that i have lived my life out in truth. whatever is along the road . . . during the race . . . "yes" to it. to anything You bring into my life." I love this! Being faithful means saying "yes" to Christ along the road. Being faithful means that we follow Christ for the sole purpose that He will be at the end of our journey. Our reward is Him! This Playmobil nativity set has been a huge hit around our house. It has a lot of play pieces that the kids love arranging and re-arranging. We are big fans of Playmobil sets because of their quality, durability, and amazing detail. I bought this 3 years ago to have a nativity that they could play with and tell the story with. I would highly recommend this as an addition to your Christmas fun. I love watching my kids "act out" the story. 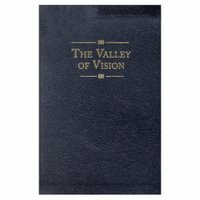 One of my favorite book discoveries over the past year has been "The Valley of Vision," a collection of puritan prayers and devotions edited by Arthur Bennett. It is a rich source of spiritual thought with depth not often seen today. The prayers and devotions are divided under sections such as, redemption & reconciliation, penitence, needs & devotions, gifts of grace, and service & ministry. The language is not "updated," but retains the original, more formal style in which the prayers were written. I really enjoyed and appreciated the beauty of their expression. This is a great book to add to your library or to give as a gift. I refer to this book often and always challenged to go deeper. Following is the opening prayer and one of my favorites. Lord, in the daytime stars can be seen from deepest wells, and the deeper the wells the brighter thy stars shine. Let me find thy light in my darkness, thy life in my death, thy joy in my sorrow, thy grace in my sin, thy ruches in my poverty, thy glory in my valley. When You Thought I Wasn't Looking . . .
Those little eyes are always watching, and soaking it in. That certainly gives me pause! "When you thought I wasn't looking, I saw you hang my first painting on the refrigerator, and I immediately wanted to paint another one. When you thought I wasn't looking, I saw you feed a stray cat, and I learned that it was good to be kind to animals. When you thought I wasn't looking, I saw you make my favorite cake for me and I learned that little things can be the special things in life. When you thought I wasn't looking, I heard you say a prayer, and I knew there is a God I could always talk to and I learned to trust in God. When you thought I wasn't looking, I saw you make a meal and take it to a friend who was sick, and I learned that we all have to help take care ofeach other. When you thought I wasn't looking, I saw you give of your time and money to help people who had nothing and I learned that those who have something should give to those who don't. When you thought I wasn't looking, I felt you kiss me good night and I felt loved and safe. When you though I wasn't looking, I saw you take care of our house and everyone in it and I learned we have to take care of what we are given. When you thought I wasn't looking, I saw how you handled your responsibilities, even when you didn't feel good and I learned that Iwould have to be responsible when I grow up. When you thought I wasn't looking, I saw tears come from your eyes and I learned that sometimes things hurt, but its all right to cry. When you thought I wasn't looking, I learned most of life's lessons that I need to know to be good and productive person when I grow up. When you thought I wasn't looking, I looked at you and wanted to say,Thanks for all the things I saw when you thought I wasn't looking.'" Each of us - parent, grandparent or friend - influence the life of a child.